A beginners' delight! The iCare Kit is a hybrid pod mod system that features a built in juic chamber but only requires that you fill it with juice and change its coils. A true ultra portable device that comes from a trusted names in vaping. 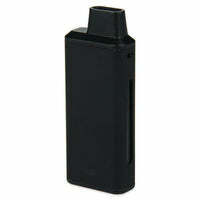 iCare Kit - Eleaf has a rating of 5.0 stars based on 1 reviews.